In this tutorial, we'll show you how to use top to monitor your processes in real time. 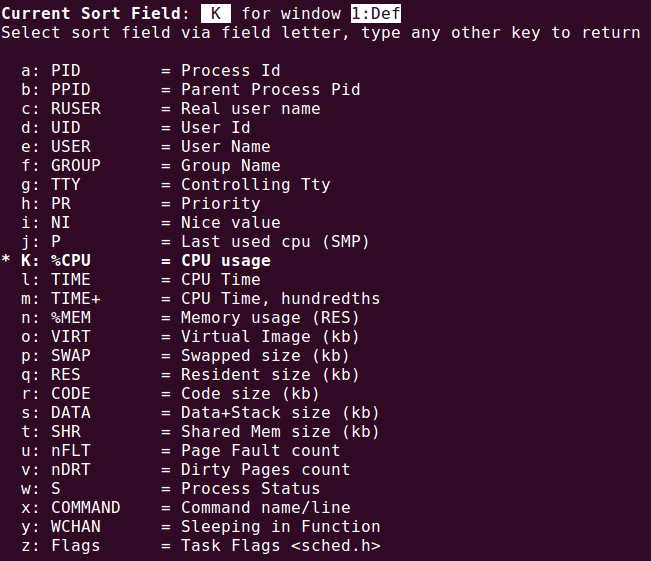 Top gives an overview of what cpu and memory resources the processes on your system are using. 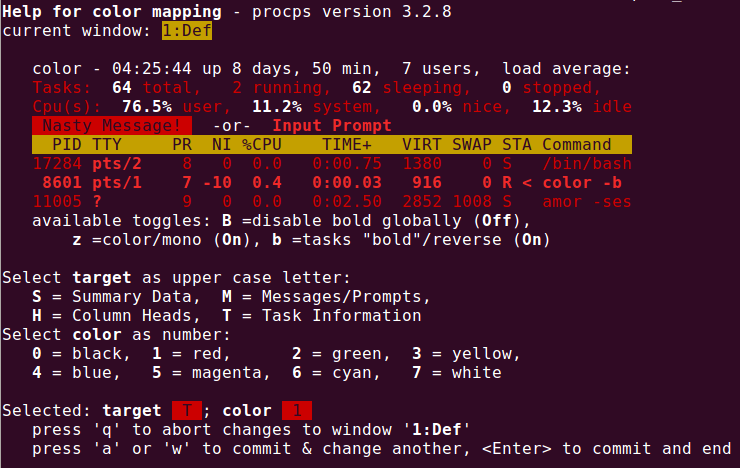 This will display the top few processes (sorted by CPU usage). The display is updated periodically (default is every 3 seconds) to ensure the info displayed is up to date. This page refresh rate can be controlled by hitting either 'd' or 's' and entering the number of seconds you wish to use. To highlight the values in the summary aread, hit "B" (i.e. for Bold). 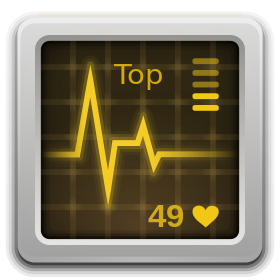 Before continuing any further with customising top's look and feel for your purposes, be aware that you must save any changes otherwise top will discard them when you exit (exit by typing "q"). To save any changes you make just hit "W". The first area to the top of the screen while viewing the top program is called the summary area. You can toggle which bits of this are included in the display. To toggle the showing of load average and uptime, hit "l". To toggle memory and swap space information, hit "m". To toggle task data and cpu state information, hit "t". To toggle showing each cpu, hit "1". There are four display types (where each display type shows different column fields, column ordering, and sort field). The default display type is 1. To change the display type, hit "G" followed by the number (1 - 4). There is an "Alternate Mode" that you can use which shows the top few from each display type/mode. To use the alternate mode just hit "A". Choose one by hitting the appropriate letter, then hit return. The sort order itself can be changed (i.e.largest to smallest -> smallest to largest) by hitting "R". Also, you can highlight the column of the field used for sorting by hitting "x"
To toggle the showing of the command line options used to start the applications, hit "c". To toggle whether to show threads or not, hit "H". The use of cumulative time (total cpu time used by the process and its dead children) can be turned on by hitting "S". You can toggle colour on/off by hitting "z"
Simply hit the letter for the target area you want to change the colour of, then hit the number of the colour.You can save your changes immeadiately (by hitting "a" or "w"), or afterwards by hitting "W" before you exit top. This is a quick reference as per man page. W write current settinigs to its config file. See the man page for a full list of options and configurables. A big thank you to James C. Warner, Albert D. Cahalan, and Craig Small for this helpful tool .